The establishment of animal models for human brain tumors is based on the realization that clear mechanistic information with a functional focus is difficult to obtain in human studies and from the fact that in vitro tumor models do not reflect the physiological complexity of tumors grown in vivo. 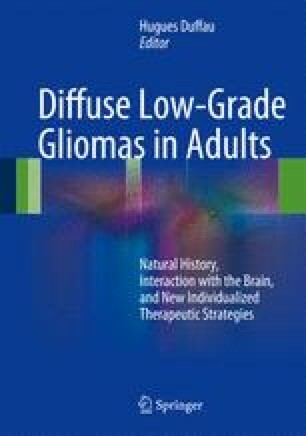 Animal models for low-grade gliomas have mainly appeared during the last two decades with the development of genetically engineered mice where in particular the platelet-derived growth factor (PDGF) and epidermal growth factor (EGF) systems seem to be important in tumor formation. Also, with the advent of neurosphere culture techniques used to propagate neural stem cells, recent developments indicate that low-grade gliomas can be initiated as xenografts in immunodeficient animals. A major challenge of these models is the time required to tumor development. Nevertheless, it is expected that animal modeling for low-grade gliomas will provide important new insight into the etiology of low-grade tumor development in the years to come.